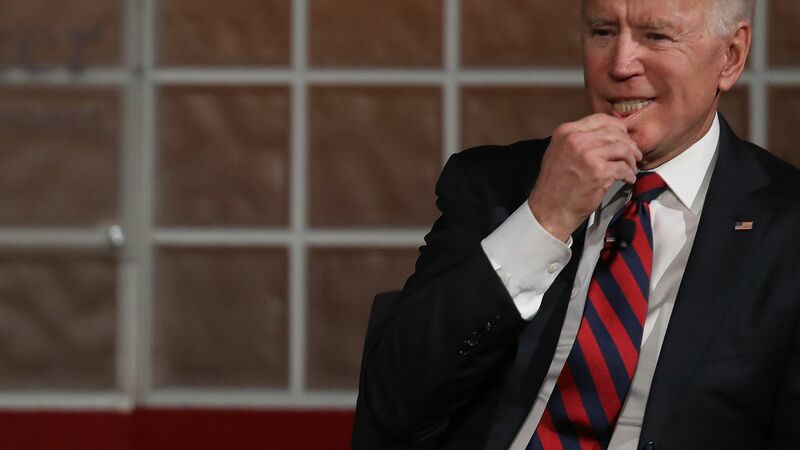 Lucy Flores — a Nevada Democrat — wrote in a first-person account in "The Cut" on Friday, accusing former Vice President Joe Biden of an inappropriate incident when he campaigned for her in 2014. "Vice President Biden was pleased to support Lucy Flores's candidacy for lieutenant governor of Nevada in 2014 and to speak on her behalf at a well-attended event. Neither then, nor in the years since, did he or the staff with him at the time have an inkling that Ms. Flores had been at any time uncomfortable, nor do they recall what she describes. But Vice President Biden believes that Ms. Flores has every right to share her own recollection and reflections, and that it is a change for better in our society that she has the opportunity to do so. He respects Ms. Flores as a strong and independent voice in our politics and wishes her only the best." — said Bill Russo, a spokesperson for Biden. The big picture: In the era of #MeToo, Biden's — who is considering a presidential run in 2020 — unsolicited physical contact is gaining attention, and Flores' claims only add fuel to the flames. Go deeper: Biden says he regrets not giving Anita Hill "the hearing she deserved"